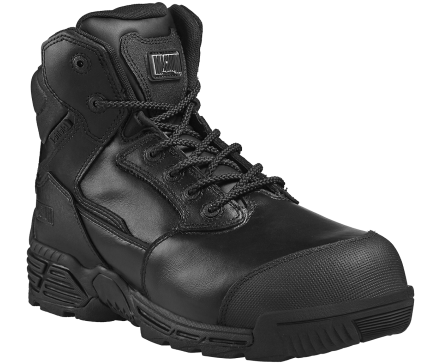 The Stealth Force 6.0 Side Zip Composite Toe & Plate Toe Bumper is a 6 inch work safety boot for men and women. The hard-wearing anti-scuff toe protector adds durability and is ideal for those who often need to kneel down on highly abrasive surfaces such as paramedics. 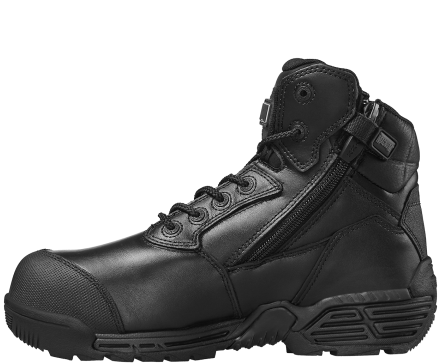 These safety boots also have a durable leather upper, scanner safe non-metallic composite hardware and a YKK sidezip for easy access. 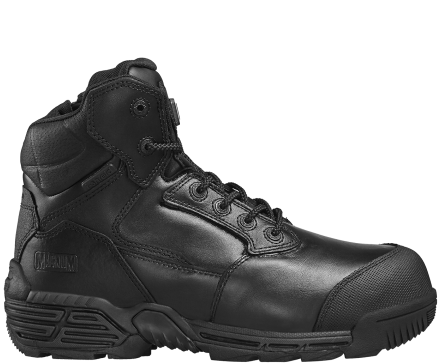 The lightweight composite toe-cap and anti-penetration plate protects feet from falling objects and underfoot punctures. 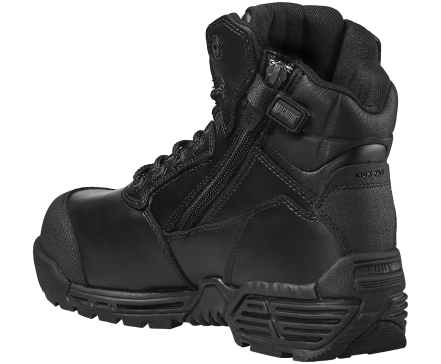 These S3 rated boots are exceptionally comfortable with an M2P.A.C.T. insole with Ortholite Impressions and Lava XL, providing underfoot cushioning and odour control. While the fast wicking lining adds moisture management to keep boots fresher for longer and i-shield technology repels water and dirt to prevent stains. 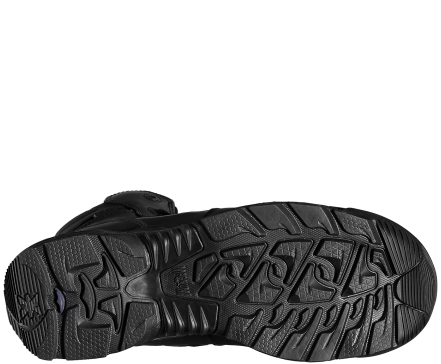 The SRC slip resistant X-Traction rubber outsole provides grip and durability. Tested & certified to European Standard EN ISO 20345:2011 S3 HI CI HRO AN WR SRC. 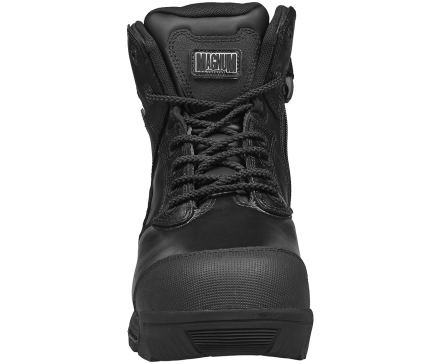 These men’s and women’s work safety boots are an ideal choice for industrial workers, emergency medical services and fire and rescue personnel who need a comfortable, low cut safety boot with added durability on the toe.